Long service award // Does loyalty and repetition taint championship success? With those behind left scrabbling amongst themselves for points, it is likely, if not certain, that we’ll see a four-times world champion crowned come the end of the season. It would be an incredible achievement, and would see Vettel match Alain Prost for number of championships, sitting behind only Schumacher and Fangio for total titles obtained. It is by no means easy to win a world championship, and to win multiple times is an almighty feat of both engineering and talent. However, there are those (including myself) who point out that the true test of a champion is an ability to repeat the achievement in multiple teams. As F1 is both an individual and a team sport, there's an element of both that goes into putting together a successful season's campaign. The car has to be fast, the driver has to be good. A fast driver in a slow car isn't going to win, and vice versa. So the prevailing view suggests the ability to switch teams and still come out on top is essential. Kimi Räikkönen, the highly rated Finn of unusual temperament, won a world championship with the Ferrari team in 2007. He had previously been within striking distance while driving for McLaren, but moved to Ferrari and won the title in his first season with the Scuderia. The F2007 was a fast and reliable car produced by a competitive team, and partnered with Kimi’s single-minded consistency and aided by a supportive and magnanimous Felipe Massa, the title was his. Next season, after a four year absence, Kimi will be heading back to the welcoming arms of Ferrari, focused on winning another title before his second stab at an F1 career is complete. Let us suppose for a minute that he manages to steal the championship next season. That would give him two championships with the same team, but under very different circumstances. 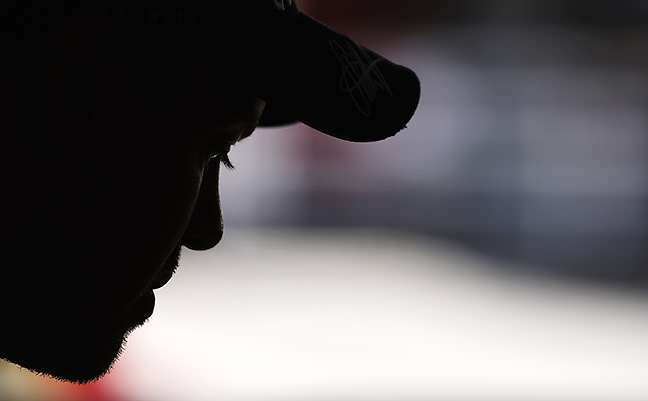 More than anything, his second title would be as a teammate of Fernando Alonso. And beating Alonso in the same machinery is surely worth more than beating Massa, no matter which team you are driving for? Two years after Kimi landed his inaugural title, Jenson Button too fought his way to a world championship. The Brawn GP story is well-documented, from the ashes of the outgoing Honda team, a title-winning Phoenix stormed to victory. However, if Button had, by some miracle, won the championship with Honda before they announced they were leaving (it probably would have prevented them from quitting, but bear with me), Button could technically have won a title with two different teams. But we all know that Brawn was essentially the Honda car, the Honda outfit, the Honda drivers wearing different coloured overalls. This would pass the two-team benchmark we’re holding our champions to, yet it wouldn’t be quite right. Honda became Brawn which became Mercedes, with Ross Brawn remaining at the helm. Michael Schumacher made his comeback there, although it was perhaps less successful than he might have liked. If he had managed to claw his way to yet another world title, it would have been very impressive. But even then, would it have been because the driving ability of Michael paired with the strategic genius of Ross are the real winning combination? Schumacher already passes the two-team test, having won his titles with Benetton and Ferrari, but already we have the "dream team" scenario, with Ross Brawn lending his helping hand for the two championships at Benetton, before being instrumental in the five secured at Ferrari. Perhaps it's not about the team as a whole, but specific personnel within? We can see that it depends on who you’re working with in the team, and how good their design skills are. We know Sebastian Vettel benefits considerably from Adrian Newey's design input. If Newey left Red Bull, then it would be a fresh challenge even within the same team. It also depends on who the teammate is. Fernando Alonso was the cream of the crop when he had a subordinate second driver, but his McLaren bid failed when driver equality was favoured. Pitting two racers head to head can be motivating, but it can also be the opposite. Dealing well with the other car must be the sign of a good champion. Then, of course, there are the regulations. As the FIA constantly change the goalposts to try and keep Formula One relevant and exciting, the fight to win another championship should (in theory) get harder. A fast car one year could be a snail the next, and dragging wins out of the latter would be impressive no matter if the driver stayed in his comfort zone or struck out for a fresh new challenge. The list of those who have won multiple F1 championships is already limited enough - to join the ranks a driver has to be considered something special regardless how it may have been achieved. Of the fifteen drivers to have more than one title, six fail the two-team test and they include the likes of Senna and Clark. Much was made of Lewis Hamilton’s move to Mercedes, with the over-arching view that Lewis is in it for the long haul. They are more competitive than expected this year, so all were looking to next season, and the analysts believe Mercedes will have the edge when the regulations are overhauled in 2014. That could give Lewis a second championship. To my mind, of all the drivers, Lewis is probably in the best position to provide a prime positive example for the two-teams test. His first championship came with McLaren in 2008, and he’s fought through the ups and downs of the end of that relationship and the beginning of his Mercedes term. A second title now would be impressive. But would it instantly outshine all of the work Vettel has done for four years, simply because there’s a different name above the door? The argument over the merits of each driver are nuanced and perhaps endless. I’m still of the opinion that Vettel has had it relatively easy in a faster car and a team that favours him. But that is the setup now. Will it be the same in 2014? 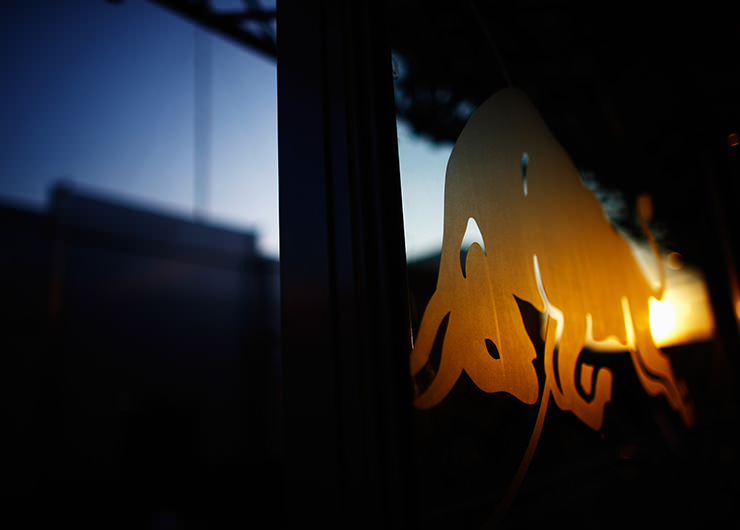 Next year, the balance of power looks like it could shift away from Red Bull. If Vettel went on to somehow win a superhuman fifth title, it would surely be a more impressive feat than those we have seen recently. Scoring pole position after pole position and storming into the lead from the front of the grid is one thing. Fighting against the tide for a win is quite another. As always, on paper, the statistics make cold, hard reading. Vettel has won three championships in a row, with a fourth looming. The team beside his name remains unchanged. Whether that is a good or bad thing will remain the subject of speculation for a long time to come. Friday Fun - Where would you award points?